The most important duty of a Linux system administrator is to make sure the system he/she is administering is in a very good condition. 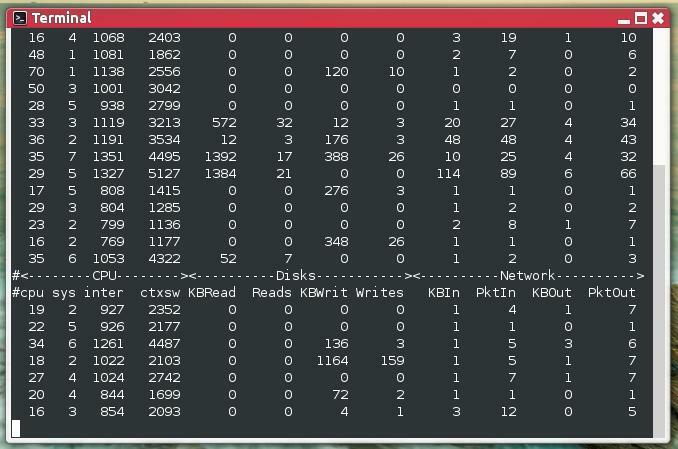 There are many tools available for a Linux system admins that can help to monitor and display processes in a system such as top and htop, but none of these tools can compete with collectl. collectl is a very nice feature rich command-line utility that can be used to collect performance data that describes the current system status. Unlike most of the other monitoring tools, collectl does not focus in a limited number of system metrics, instead it can gather information on many different types of system resources such as cpu, disk, memory, network, sockets, tcp, inodes, infiniband, lustre, memory, nfs, processes, quadrics, slabs and buddyinfo. A very good thing about using collectl is that it can also play the role of utilities that are designed with only a specific purpose such as top, ps, iotop and many others. What are some features that make colleclt a useful tool? After doing a lot of research I have compiled a list with some of the most important features of the collectl command-line utility for you guys. It can run interactively, as a daemon or both. It can display the output in many formats. It has the ability to monitor almost any subsystem. It can play the role of many other utilities such as ps, top, iotop, vmstat. It has the ability to record and playback the captured data. It can export the data in various file formats. (this is very useful when you want to analyse the data with external tools). 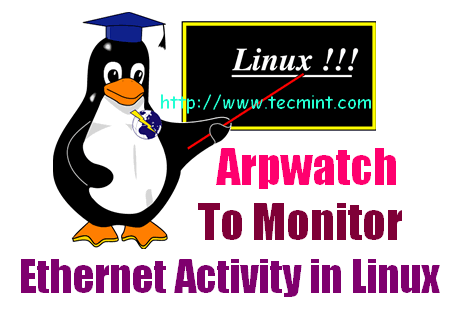 It can run as a service to monitor remote machines or an entire server cluster. It can display the data in the terminal, write to a file or a socket. The collectl utility runs on all Linux distributions, the only thing it requires to run is perl, so make sure that you have Perl installed in your machine before installing collectl in your machine. The following command can be used to install the collectl utility in Debian based machines such as Ubuntu. If you are using Red Hat based distro, you can easily grab it from the repos with the yum command. Once the installation of the collectl tool is finished, you can easily run it from the terminal, even without any option. The following command will display information on cpu, disk and network stats in a very short and human readable format. As you guys can see from the above output displayed in the terminal screen, it is very easy to work with the system metrics values present in the command output because it appears on a single line. Note: In our case, a subsystem is every type of a system resource that can be measured. You can also display statistics for all subsystems except slabs by combining the command with the –all option like shown below. But, how do you monitor the cpu usage with the help of the utility? The ‘-s‘ option should be used to controls which subsystem data is to be collected or played back. For example the following command can be used to monitor the summary of the cpu usage. What happens when you combine the command with “scdn“? The best way to learn how to use command-line tools is to practice as much as possible, so run the following command in your terminal and see what is going to happen. If you want to collect data about the memory, use the following command. The above output is very useful when you want to get some detailed information on your memory usage, free memory and other important stuff for the performance of your system. How about some data on tcp? Use the following command to do it. After you have gained some experience you can easily combine options to get the results you want. For example you can combine the “t” for tcp and “c” for cpu. The following command does that. It is hard for us humans to remember all the available options so I am posting the summary list of subsystems supported by the tool. A very important piece of data for a system administrator or a Linux user is the data collected on disk usage. The following command will help you to monitor the disk usage. You can also use the “-sD” option to collect data on individual disks, but you have to know that information on total disks will not be reported. You can also use other detail subsystems to collect detailed data. The following is a list of the detail subsystems. There are many available options in the collectl utility, but there is not enough time and space to cover them all in only one article. However it is worth mentioning and teaching how to use the utility as top and ps. It is very easy to make collectl work as the top utility, just run the following command in your terminal and you will see the similar output the top tool gives you when it is executed in your Linux system. And now last but not least, to use the collectl utility as the ps tool run the following command in your terminal. You will get information about processes in your system the same way as you do when you run the “ps” command in your terminal. I am very sure that many Linux system administrators will like this tool and will feel its power when using it to the fullest. If you like to advance your knowledge about collectl to the next level refer to its manual pages and keep practicing. Just type the following command in your terminal and start reading. First of all, very useful article; I was looking for some tool just like collectl, so thank you so much for introducing us all to this piece of tool! 1 question, how do I install collectl-utils on centos 7? I’ve been googling about it but so far no luck at all. Thanks again. @masoom: Install the epel-release package (“Extra Packages for Enterprise Linux)..